Are you planning on walking the Camino this year? CaminoWays.com, the walking and cycling holiday specialists, have put together their top Camino tips to make sure that your Camino adventure is an experience of a lifetime. Whether you’re unsure about what gear you will need, what training you should do or which route you should take, the following tips will leave you feeling fully prepared to take on your Camino journey. Although walking the Camino is within everyone’s ability, it is recommended that some training be done in advance. The best form of physical preparation is walking. Head out on some walks before you leave as this will help to build stamina and ensure you’re in the best condition possible when you are on the Camino de Santiago. There is always a temptation to buy brand new walking shoes before heading on a walking trip however, if you want to avoid any painful blisters, it is important that your shoes have been well worn-in. Also, weather can have a huge impact on the items you will need to bring so make sure to check the weather before you set off and pack the appropriate clothing. With several different Camino routes to choose from, it can be difficult to select the one that will suit you best. The most popular route is the French Way which stretches 800km from Saint Jean de Port to Santiago de Compostela however, you can choose to start your Camino at any point along this trail. Another popular route is the Portuguese Way which gives walkers a more rural Camino experience. The most memorable part of any Camino is always the journey itself so it’s important not to rush and really appreciate the experience. Make sure you take the time to find your own walking pace and don’t feel pressured into trying to keep up with everybody else. Remember, it is possible, when travelling with CaminoWays.com, to split some of the days to suit your pace. There is a vibrant and rich history surrounding the Camino de Santiago so it’s always a good idea to familiarize yourself with the culture and discover interesting stories about the places you will be visiting before you set out. Learning some words of the local language will help to bring your Camino experience alive and of course, make the journey a lot easier! Being able to understand even just a few words will mean that you can read signs and interact with the locals, an activity that will make your journey even more enjoyable! Choosing the right season is an important part of planning any Camino trip. Spring and Autumn are two very popular seasons to go as the weather is not too hot however, anyone walking in Galicia or taking a coastal route will find that Summer is an ideal time to set out as the average temperatures in these areas are usually in the pleasant mid-20s. There are many wonderful things to see and people to meet along your journey that you will undoubtedly want to remember forever so a camera really is absolutely essential! Walking the Camino is a truly incredible experience and is definitely one you will want to be able to look back upon in the future. 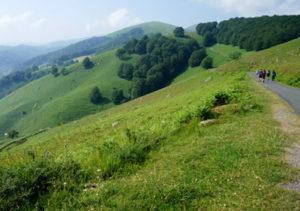 When and Price: CaminoWays.com organises Camino holidays all year round. A classic 7-day Camino de Santiago experience from Sarria to Santiago de Compostela starts at €565pp in high season (April to October). Please see this video for six things that make the Camino special. Price includes: Accommodation (half board basis) and luggage transfers from hotel to hotel. Please note: 5% early bird discount applies when booking at least two months in advance. Also available: Hotel upgrades, bike rental and airport transfers can be arranged, depending on availability. Start planning your Camino trip today by logging onto www.caminoways.com or calling +353 (0)1-525-28-86 ; +353 (0)1-525-28-86.